You know their famous Fruit Loop Drive? It’s a 35-mile loop through the Hood River Valley that takes you past orchards, farms and wineries. Don’t drive it in the winter! I learned that the hard way earlier this week. A spin around the Fruit Loop sounded like a fantastic idea until the antique store, farm stand and brewery we were planning on visiting were all closed. Don’t get me wrong, it was still a beautiful day and a beautiful drive, but a little disappointing. Everything was “closed for the winter”. So after our gorgeous but uneventful drive, we ended up back in Hood River at the new(ish) tasting room for the Pfriem Family Brewery. It has a great location right across from Hood River’s really cool waterfront park, which was a good thing because we had a 45 minute wait to get a table! I guess everyone else in Hood River was in the same boat as us. 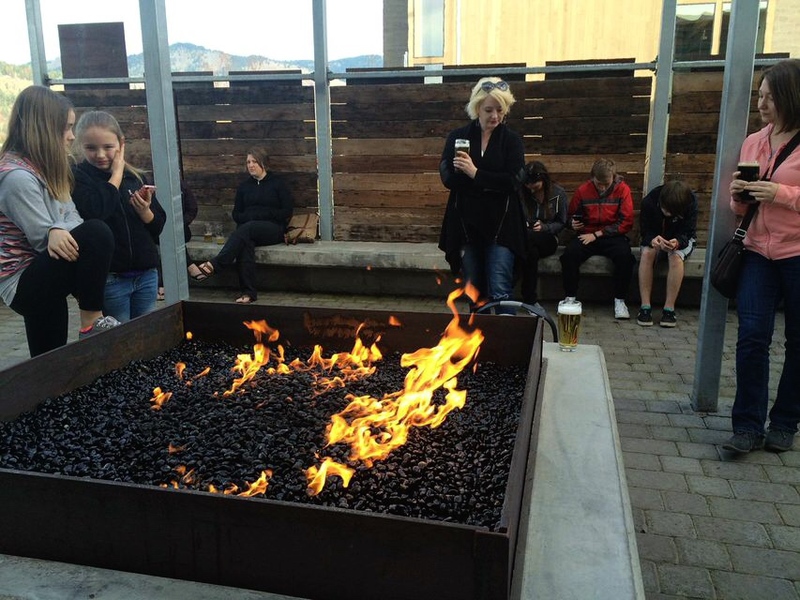 Luckily Pfriem has a great little patio and fire pit that make waiting very comfortable. We ordered a round at the bar and stared the flames for a while. Inside the space is very open with views of their giant tanks. 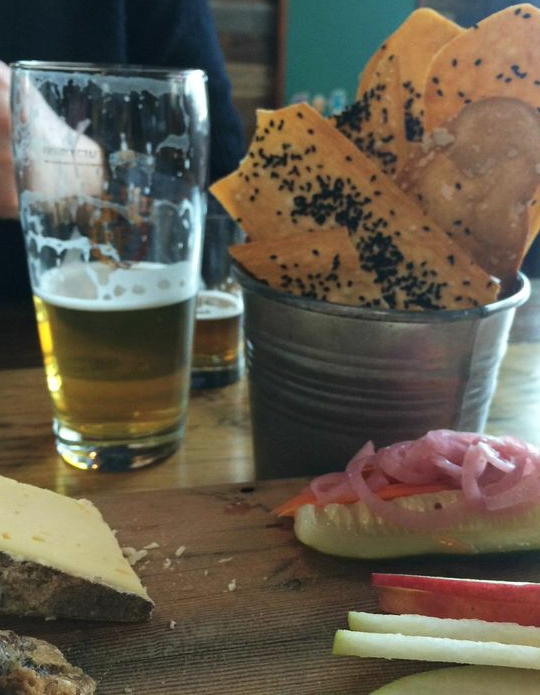 You can even watch the brewers working while you eat and drink. There is a fair amount of seating, but most of the building is still brewing space. And, like most places in Hood River, it’s family-friendly so having my little one in tow was no problem, about half the tables had kids. As you might expect, the beer is really good. Between the three of us we tried the Pilsner, Blonde IPA, Double IPA and Oatmeal Stout. The favorite seemed to be the Blonde IPA, but all of them were good. Our server even convinced me to taste the Wit. I normal hate Wit beers, but this one was good enough I might order it in the future. I found it light and citrusy but lacking that banana flavor I despise in Belgian beers. Unfortunately, we were there in the afternoon and did not eat anything more than snacks. 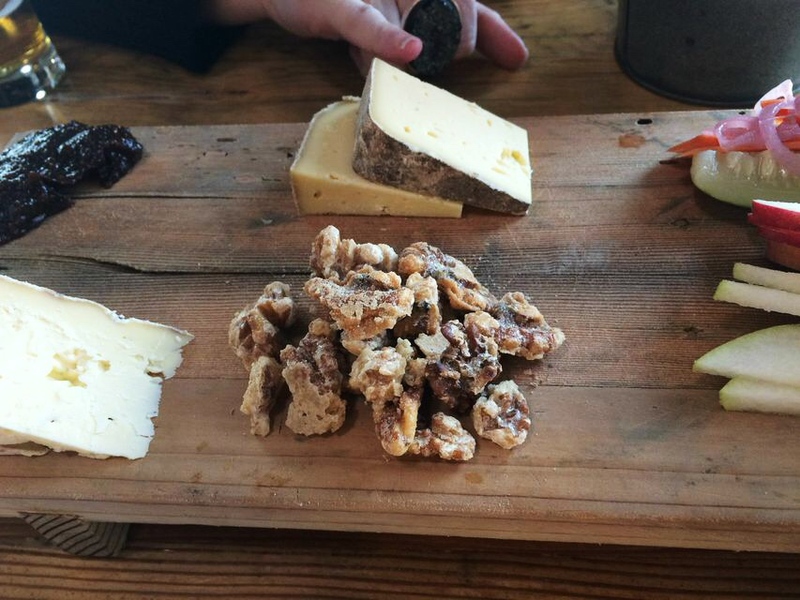 But their cheeseboard was great, especially the house-made crackers. 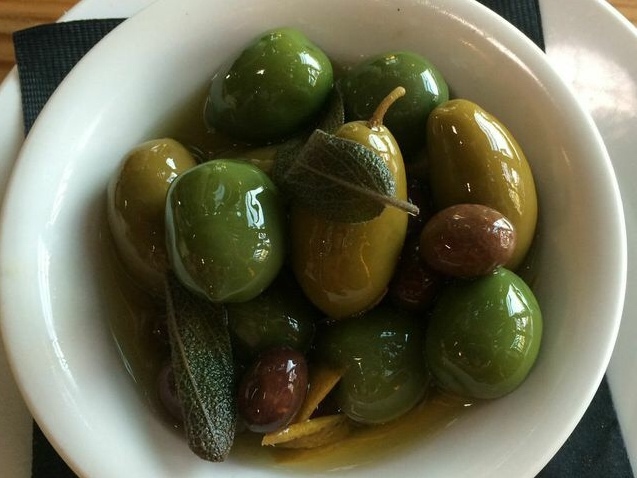 I could have eaten an entire bowl of the marinated olives. The rest of the menu is sandwiches and salads with a few entrees. The mussels and fries must be really good, because a lot of people at the surrounding tables were eating them. Along with Double Mountain and Full Sail, this is a great addition to the Hood River beer scene. 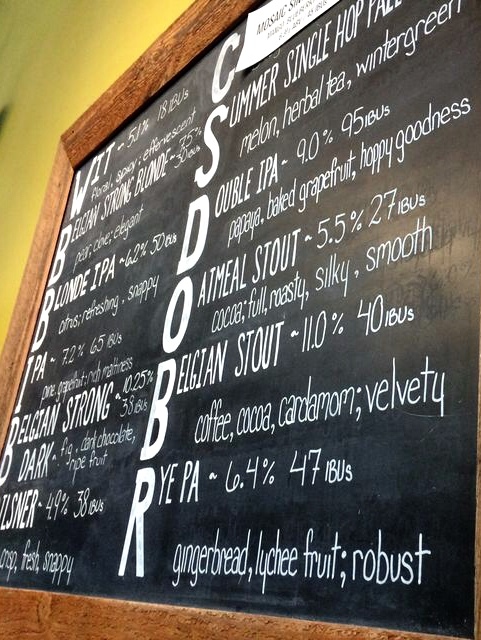 I’ll be stopping again during my summer trips to Hood River and I’ll definitely drink their beers when I see them on tap around Portland. Love Pfriem beers! 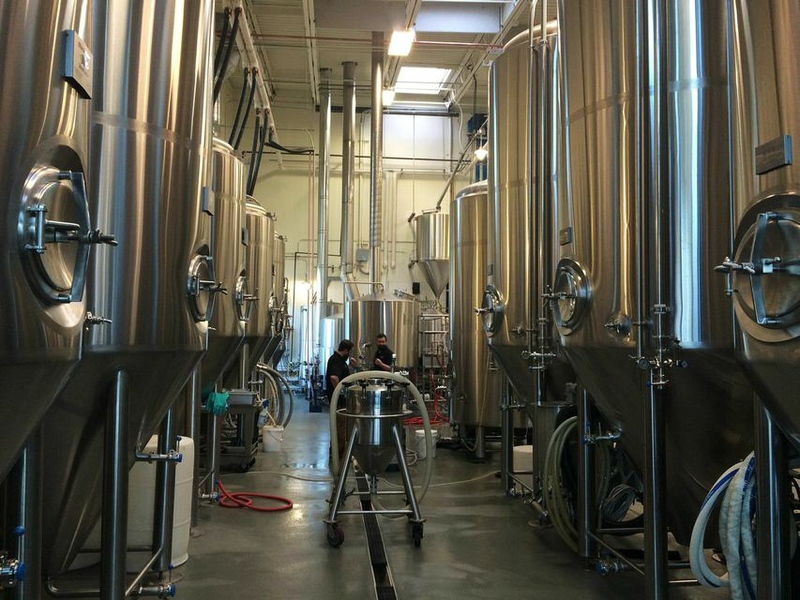 The brewery looks awesome, great pictures. i need to go here! it’s on my brewery list! Thanks for sharing that! Some new ones to try!